This recipe can be messy and can get intoxicating cleaning up the mess! 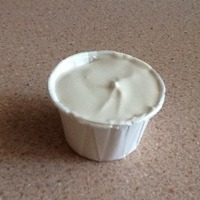 I made some Pumpkin Cheesecake Pudding Shots by substituting Pumpkin Cream Liquor for the Baileys and Captain Morgan for the Irish Whiskey. Mix pudding mix and milk. Add Irish Whiskey and Irish Cream. Using a pastry bag or spoon, pour into paper nut cups. Oh yeah, I could love these! Imagine piping them into little chocolate cups instead of the paper ones. Yup, they shound fantastic. This looks very creative.. well thought. Cool!